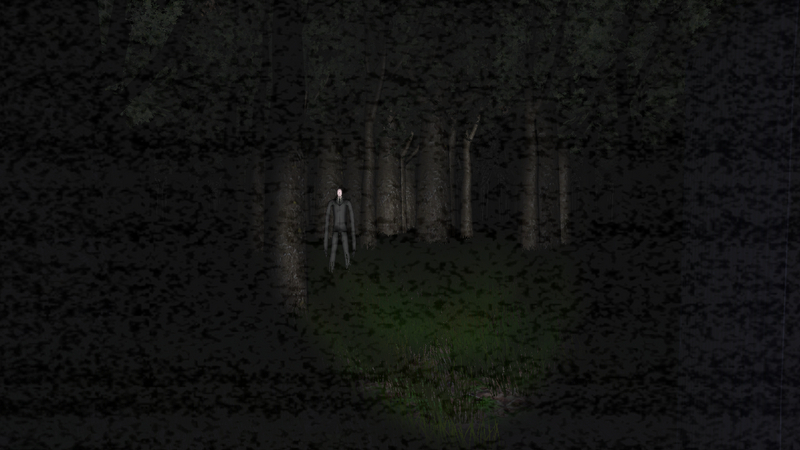 Recently a game was released that took the internet by storm: Slender. The game is extremely basic in design. You are stuck in a forest and you must collect eight pages before SlenderMan gets you. Sounds easy enough; until you are actually playing the game and he is there, behind you. Our own Raven playing Slender. This minimalist approach to horror struck a chord among horror fans including myself. So in an effort to dig deeper into what makes Slender tick I asked the creator Mark Hadley for an interview. He agreed and gave me some interesting answers. So turn on your flashlight and whatever you do, don’t turn around. I would like to start off with a few “Ice Breaker” questions- What is your favorite Horror Movie? My favorite horror movie is probably the original Alien movie. My favorite horror game currently is Amnesia: The Dark Descent. What mythological creature scares you? I don’t really get ‘scared’ much at mythological creatures, though I do find them a little unsettling at times; I don’t have a particular example though. Does your own game, Slender, scare you? I’ve had to play Slender over and over enough so that the creepiness factor doesn’t affect me much anymore. However, I still do find parts of the game scary, simply because I made SM’s movement so randomized that I can’t even predict it myself. What originally started the idea for the game Slender in your mind? The idea for the game started when I wanted to learn how to use Unity, and I was thinking of making a short game that would be easy to program for practice. 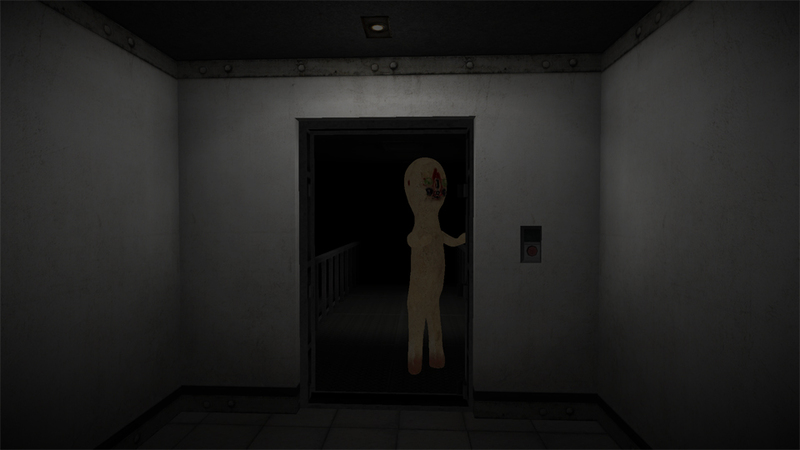 I haven’t attempted to make anything scary for a long time, and I had recently seen videos of very short horror games like SCP-087 (also made using Unity) and SCP Containment Breech that people like to record themselves playing. I wanted to do something within my programming ability, which is still pretty basic (I hadn’t programmed anything for about 10 years). I just decided to adhere to a few simple elements that I thought could make a decent horror experience: a suspenseful build-up (the slow wandering and exploration), very few details so that the imagination fills in the rest (the notes scribbled on the pages), and as little scripting as possible (SM’s movement follows a few rules but is otherwise random). The building is quite possibly the most frightening area in the entire map because SlenderMan can be around any corner. Is there special parameters for him that only exist while you are in the building or is the game’s design capable of creating these encounters naturally? Continuing on that last point, there are no special rules for the complex. SM positions itself randomly, and sometimes this can cause it to appear in unexpected places within the complex, but not always (in fact, it’s a little harder for him to appear there since there are less “legal” points for him to teleport to). When he does, it has the added effect of seeming like it’s scripted or planned, but actually, you can teleport him to any point within the complex and turning the corner to run into him would still generally be just as scary. There’s no way to know for certain if he’ll even be there. In games with scripted events, the event might get you the first time, but you’ll expect it on subsequent playthroughs. Make it random, and you can never be sure; this dread creates more scare factor than just a simple jump scare. While jump scares have their place, it should not be used in place of actual suspense (startling is not the same as scaring). On the topic of the building. Was the structure we see in the game the original concept for it? Were there plans to have a larger building, like a cheesy asylum, or was the idea always to have a closed in bathhouse-esqe experience? So, the original design for the Bathhouse was more of a burnt down doctors office. Was there any other part of the forest that had a different design? What about the forest itself, was it always intended to be that? I’d say a few elements of the woods are definitely different than intended. For one, my movement code for the Slender Man only works in 2D, so the entire forest needed to be flat (which I hope I disguised well). Ideally, some hills and rocks would have been nice, but impossible in the current version. The art behind building up a meaningful jump scare is making the player aware that something’s out there, and building the tension by not necessarily having it visible. Create suspense and put the player on edge, even consider stretching out the appearance longer than expected to make the player question whether or not it’s still out there. If you toss something at the player without this build-up of tension, all you get is taken by surprise, and that’s not really a full scare. It’s kind of like someone going up behind you and yelling, “Boo!” It may startle you, but if you know the person is hiding somewhere and sneaking around, waiting for an opening to do it but he just isn’t doing it yet, then when he does do it, it’s a lot more effective. You mentioned SCP, one of the more interesting and fleshed out memes, so you most likely are well versed on the more disturbing stories that exist on the internet. What then made you decide on SlenderMan for the focus of your game as opposed to something else? I’m a fan of Marble Hornets (a popular Slender Man video series), and I felt like there was a good game concept in there, trying to capture the essence of the Slender Man stalking you. Concerning SM’s design. We never see him move around, instead he is always just there. Were there any plans to make him actually have a walking animation? He is also noticeably devoid of his “tentacles” or any extra arms, why is that? I always wanted him to be still, I just thought it was creepier that way, never actually seeing him move. As of v0.9.3, I did start including tentacles that sprouted out of his back in relation to the amount of static there is. What is the story behind some of the other areas in the forest? The simple explanation is that there really is no story of the game. I left out a lot of backstory with the intent of making a short horror experience rather than a full storyline. I think it’s creepier to leave things up to the imagination of the players, trying to determine why there’s an abandoned truck or what the purpose is for the pillars in one of the back areas. The music in Slender is unsettling. How did you craft such wonderfully dreadful music? I’ve had a lot of experience writing music, but for the purpose of Slender I decided to take a minimalist approach. By having it more repetitive and droning, it produces an eerie atmosphere but also does not draw attention away from the game like a theme might do. 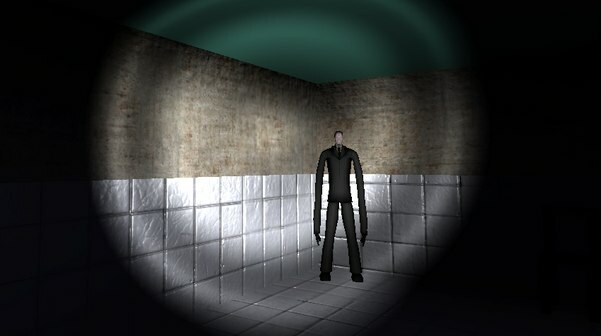 What was the greatest difficulty in creating Slender? Since Slender is created in Unity are there any plans to put it out on iOS or XBL? I do not have plans in its current state to put it onto other platforms, but I am trying to get help with some other people familiar with Unity to make a more professional version of the game, and THAT version I may be interested in getting to XBLA or other platforms for example. 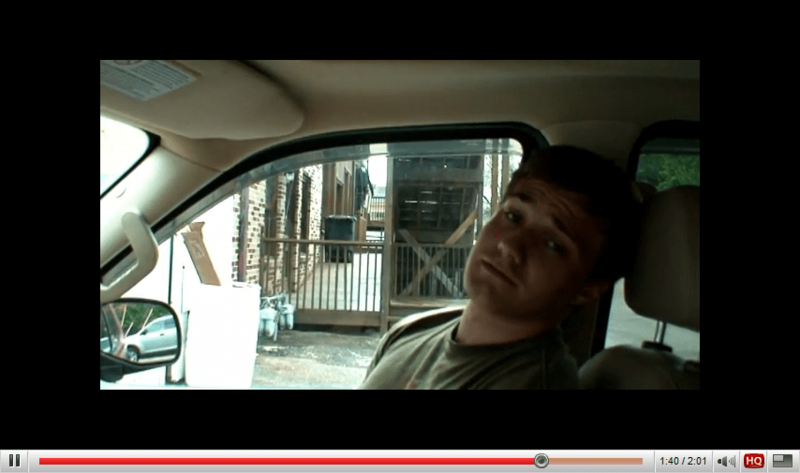 Does Parsec Productions have anything else in the works? A Slender Sequel maybe? Parsec Productions doesn’t have any other projects in the work yet; I’m going to finish up Slender, then I’ll decide what I’m going to do from there. Where can people find more of you and your work? Game-wise, there isn’t a lot to find. Music-wise, I’m also one of the composers on the music team for Homestuck at http://www.mspaintadventures.com (Warning: site content is not entirely work safe). Any other wisdom you would like to impart on us? My biggest words of wisdom are that when trying to make a scary game, always remember: startling is not the same as scaring. Do not leave out elements of suspense and atmosphere in order to rely on jump scares to do your scaring; pacing is very important. A big thank you to Mark Hadley for agreeing to participate in this interview. With his game sweeping the internet you can imagine that he is probably very busy. Still, he took the time away from his real life to answer all my questions.So again, big thanks. I watched a movie of someone playing it, and that was almost scary enough! Love it! For sure try and do it again. It is way better the second time. I also have never gotten all 8 pages. Once I had seven and was 5 feet away from the 8th.